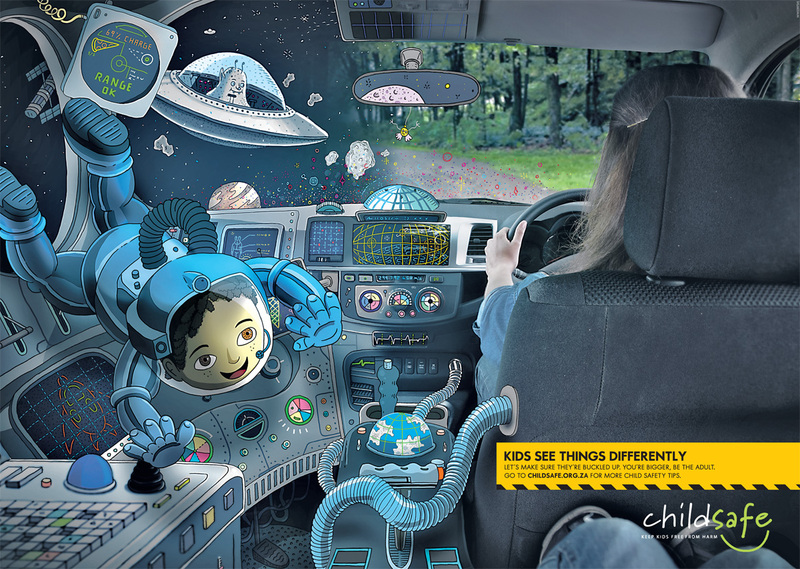 We were commissioned by Woolworths to create an engaging campaign that highlights the value of creating a safer world for kids in a friendly and creative manner. 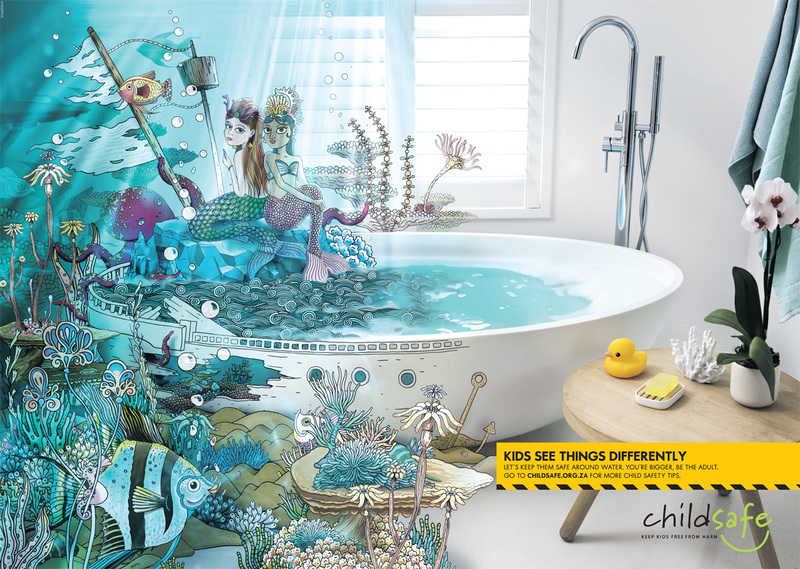 The idea was inspired by the idea that children see things differently and they are not always aware of the danger lurking in certain situations. 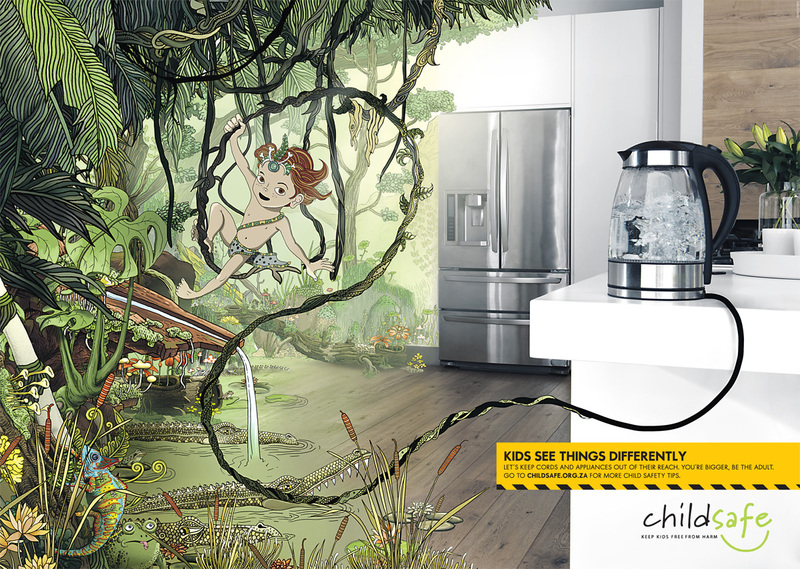 We wanted to reinforce the idea that it is important to ensure that children are kept safe while allowing their imagination to run free. We kept the style of both the animation and illustrations naïve, colourful and whimsical to further support the idea of exploring the world through the eyes of a child.